The Central Library has areas for study on all levels except Level 5. Level 2 (except the Den), Level 3 and Level 4 are group areas where you can study and hold conversations. Discussion rooms can be booked online for group work and discussion. 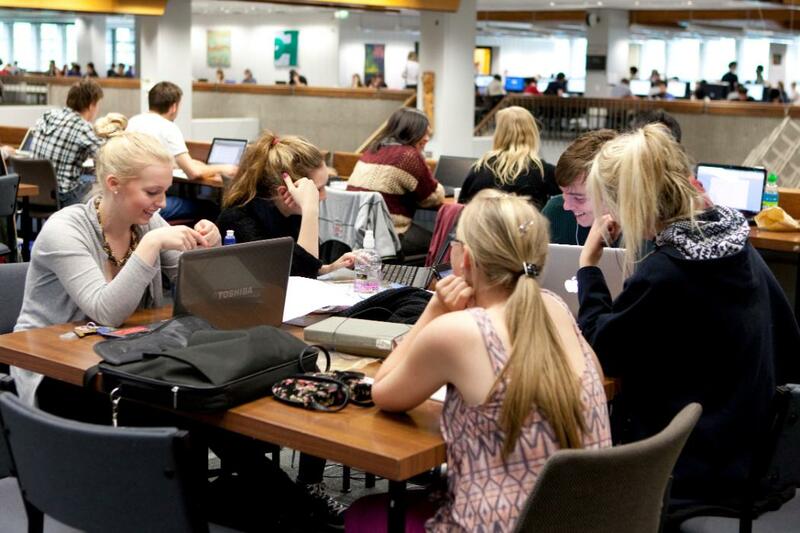 The Den (Level 2) and Levels 6, 7, 8, 9, 10 and 11 are silent study zones. There are comfortable casual seating areas on Level 2 and Level 4. The Macmillan Brown Library has one discussion room available on Level 2. There are areas for quiet study on Level 2. There are comfortable couches available in the library foyer on Level 1 where food and drink is allowed. EPS Library has six discussion rooms available on Levels 1 and 2. Four discussion rooms have LCD screens and laptop connections. Ask for an LCD cables pack at the information desk. There are areas for quiet study on Levels 1 and 3. Comfortable casual seats are on Level 1 and bean bags are on Level 2 next to the science fiction collection. Don't leave your valuables unattended. Limited consumption of food and drink is permitted in the Central Library and EPS Library unless it poses a risk of damaging library materials or offends other library users. Hot food is not permitted in any of the libraries. No food or drink is to be consumed at the library computers. No food is allowed in the Macmillan Brown Library as there is a risk it will damage the heritage materials.